Casio introduces the MZ-X series, aimed at replacing their previous MZ-2000 range. Cameron Jones and Mitch Marcoulier decided to modernize in 2015 both the software and hardware parts of the iconic Synclavier workstation. Fuzion is the name of the upcoming portable music workstation Gotharman will launch in March, and that you can pre-order now with a discount. If you did not have the time to finish your video for the K-Sound contest, Kurzweil gives you one more month to do it. 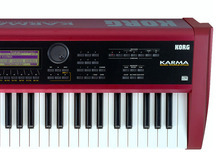 Kurzweil invites musicians to the K-Sound Contest that will reward three lucky winners with keyboards. For its 40th anniversary, Yamaha launches white versions of its Motif XF workstations, which debut at Summer NAMM.